Leadership — Proteris Biotech, Inc.
Mr. Fini has over 30 years of leadership experience in the management of sponsored research, with a specific focus on financial stewardship & compliance. Prior to Proteris Mr Fini worked as a research management consultant, primarily serving clients in the Boston and Los Angeles areas. Dr. M. Elizabeth Fini currently serves as Director of the Institute for Genetic Medicine, an multidisciplinary research department reporting to the Dean of the Keck School of Medicine of the University of Southern California. She is also appointed as a professor of cell & neurobiology and ophthalmology. Dr. Fini is best known for her scientific contributions to our understanding of diseases of the eye. 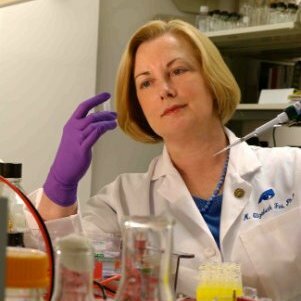 In 2002, she shared the Lewis Rudin Glaucoma Prize from the New York Academy of Medicine for discovery of a novel unifying mechanism for glaucoma pathogenesis. A native of greater Boston, Dr. Fini earned her doctoral degree at Dartmouth College and did postdoctoral training at Dartmouth Medical School and the Massachusetts Institute of Technology.